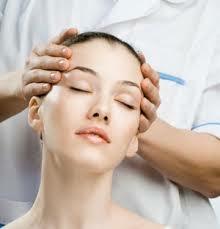 Head massage courses are becoming more popular. This is why I have also designed Indian Head massages courses online too so that other people in different countries can take advantage of this wonderful modality.In my holistic therapy courses namely this one you will learn how to do a complete 30 minute treatment. First of some info about Indian head massage.This treatment has been practised for thousands of years and is also known as Champissage. It is a form of a relaxing massage or healing massage which focuses on the face, head, neck, shoulders, upper back and upper arms. It can be done with the client sitting in a chair or lying down and the therapists heels of hands are used and applied mostly in a gentle circle motion counter clockwise and clockwise. Such a fantastic relaxing and healing massage for just about anyone.